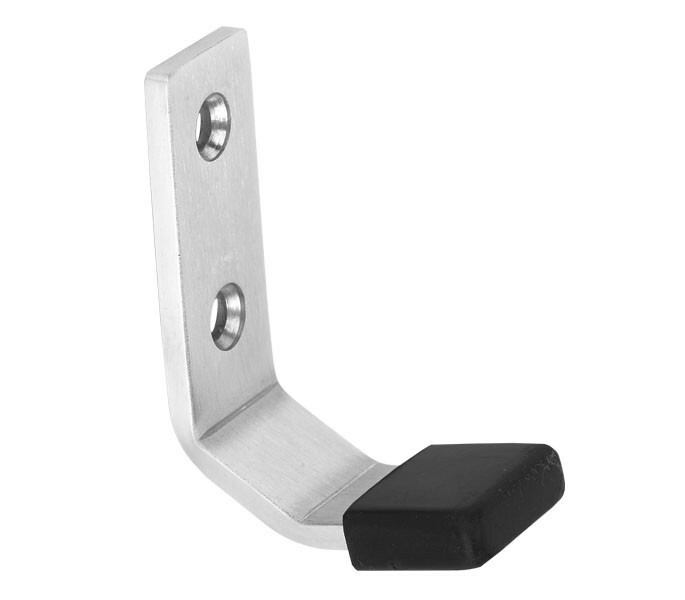 This high-quality cubicle coat hook features a durable black buffer on the tip of the 44mm projection to prevent damage to the door and partition during entry and exit of cubicle. Boasting excellent corrosion resistance, the grade 304 satin stainless steel material used in manufacturing offers a long term value whilst needing low maintenance to maintain robustness. 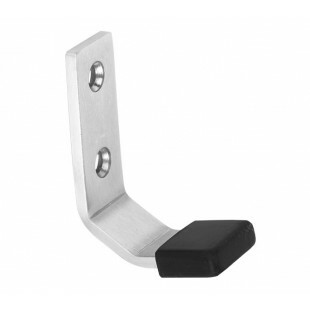 The cubicle coat hook with buffer is a fantastic option for installation onto 13mm and 20mm partition. The cubicle coat with buffer is supplied complete with two fixing points and woodscrews for fitting to offer a secure attachment to the board and is sold singly. The aesthetic of the design appeals to those in pursuit of coat hooks to match a contemporary cubicle facility interior.